Traditional artisanal fishing has been harmed by EU fishing policies that favour big businesses and ignores other more sustainable approaches to conserving fish stocks, according to new research from the University of Kent. This is the main finding of research by Dr Alicia Said, Professor Douglas MacMillan, and Dr Joseph Tzanopoulos of the School of Anthropology and Conservation (SAC) published in the world-leading open-access journal Frontiers in Marine Sciences. To uncover the impact these actions have on local fishing fleets the researchers conducted in-depth interviews with fishing communities, fishers, and policy people, combined with detailed economic and policy analysis. The report found that traditional fishermen were being driven from the sea by specific policies that favour larger boats and richer owners. Furthermore, inadequate safeguards around informal recreational fishing meant that the pressures on vulnerable fish stocks such as scorpionfish, red seabream, mullets, and other prestigious fisheries has actually intensified. The study examined the highly controversial and complex subject of 'blue-grabbing' – the legitimate use of appropriating marine resources from traditional users, through policies and governance systems that favour large-scale fisheries, and other activities such as marine conservation for ecotourism. 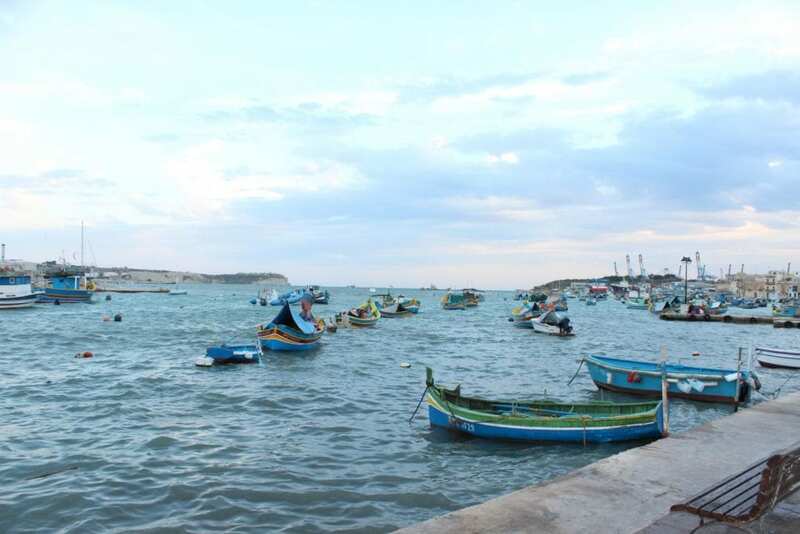 Working closely with the local fishing community, the research, has been discussed among key government officers, reaching as high as the Prime Minister of Malta and a major reallocation of quotas for tuna and other commercially important species to the traditional fishing fleet has been promised. In the forthcoming days, the research will be presented to the Ministers of the Mediterranean who will meet in Malta for a High-level Ministerial Conference on 25th and 26th September to discuss the issues of small-scale fisheries sustainability, and one hopes that this article will bring positive change in the governance of fisheries in the Mediterranean region. The contested commons: The failure of EU fisheries policy and governance in the Mediterranean and the crisis enveloping the small-scale fisheries of Malta by Alicia Said, Douglas MacMillan, Joseph Tzanopoulos, is published in Frontiers in Marine Science, section Marine Fisheries, Aquaculture and Living Resources. For further information or interview requests contact Sandy Fleming at the University of Kent Press Office. Established in 1965, the University of Kent – the UK's European university – now has almost 20,000 students across campuses or study centres at Canterbury, Medway, Tonbridge, Brussels, Paris, Athens and Rome. It has been ranked 22nd in the Guardian University Guide 2018 and in June 2017 was awarded a gold rating, the highest, in the UK Government's Teaching Excellence Framework (TEF). In the Times Higher Education (THE) World University Rankings 2015-16, it is in the top 10% of the world's leading universities for international outlook and 66th in its table of the most international universities in the world. The THE also ranked the University as 20th in its 'Table of Tables' 2016. Kent is ranked 17th in the UK for research intensity (REF 2014). It has world-leading research in all subjects and 97% of its research is deemed by the REF to be of international quality. In the National Student Survey 2016, Kent achieved the fourth highest score for overall student satisfaction, out of all publicly funded, multi-faculty universities. Along with the universities of East Anglia and Essex, Kent is a member of the Eastern Arc Research Consortium (http://www.kent.ac.uk/about/partnerships/eastern-arc.html). The University is worth £0.7 billion to the economy of the south east and supports more than 7,800 jobs in the region. Student off-campus spend contributes £293.3m and 2,532 full-time-equivalent jobs to those totals. Kent has received two Queen's Anniversary prizes for Higher and Further Education. Is the end of the recombinant DNA Advisory Committee (RAC) a good thing?